and now in the Crossroads Collective food hall on farwell & north ave! Well, Earth Day is coming up (Monday April 22nd) and as you know we love our Mother so to show a gesture of appreciation, we’ll be giving away free glass straws with the purchase of our special smoothie (flavor to be announced). Follow us on Instagram and Facebook for updates!! Our Commerce location is closed on Mondays so this will take place at our newest location at the Crossroads Collective on the corner of North Ave. & Farwell. Can’t wait to see you there sippin’ like eco-conscious royalty with your new glass straw! We want to take a moment to thank everyone for getting us this far. It’s been a wild ride and we’re so happy to be a part of your lives. As we keep growing and learning, we know we wouldn’t be here without you. We’re looking forward to many more years of operating not just as a business but as part of this wonderful community. Our sincerest thanks. We appreciate you all. It’s here! Our new baby! We’ve opened a new location on the corner of Farwell & North Ave in the Crossroads Collective Food Hall. 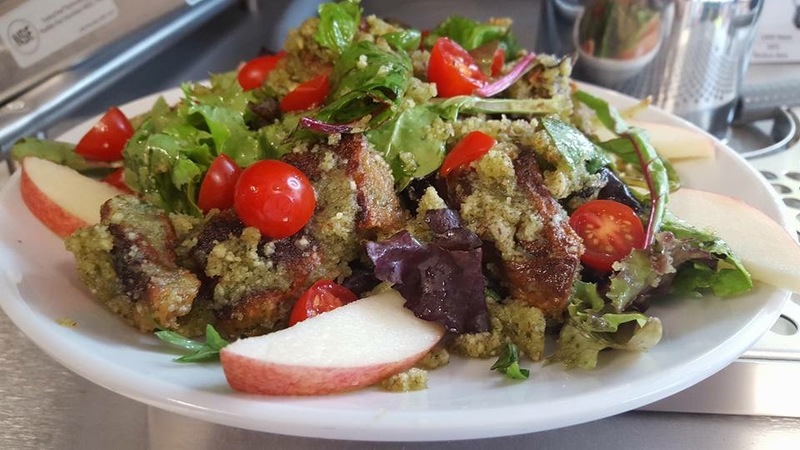 We still have a great selection of juices, smoothies, tea, & coffee, as well as new menu items unique to that location so there’s even more delicious stuff to try! 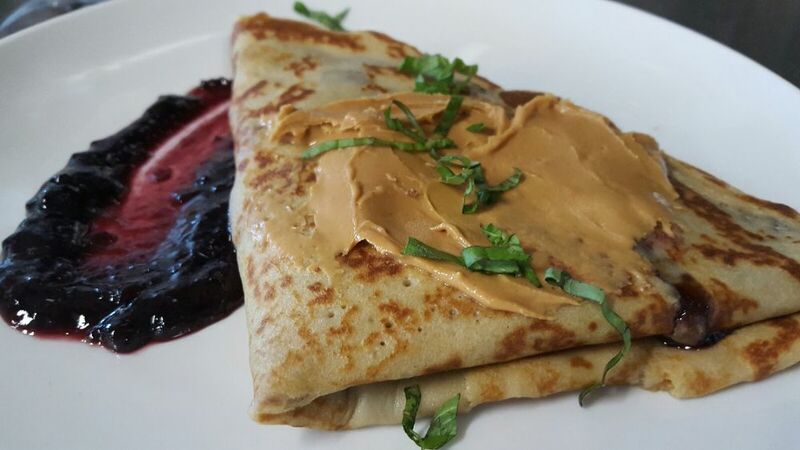 Don’t worry, we still have crepes & nachos :-) Come check it out! There’s literally something for everyone with 8 other local vendors inside! You really can have it all! Click the link below to have a virtual look. The Beerline Café is an inexpensive to moderately priced low-environmental-impact vegetarian “fresh-casual” café specializing in unique, mouth-watering sweet and savory crepe creations, panini-style sandwiches, soups, salads, healthy smoothies, fresh juices, local bakery products, Milwaukee’s own Stone Creek Coffee and espresso drinks, and a selection of bottled and tap wines and locally brewed beers. 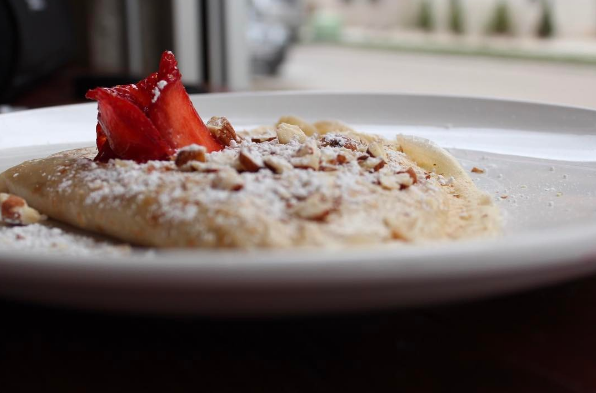 The café was recently upgraded to a four-star Green Restaurant Association rating, the highest possible, making Beerline Cafe the first restaurant in the state of Wisconsin to obtain a four-star rating and one of only 34 nationwide. 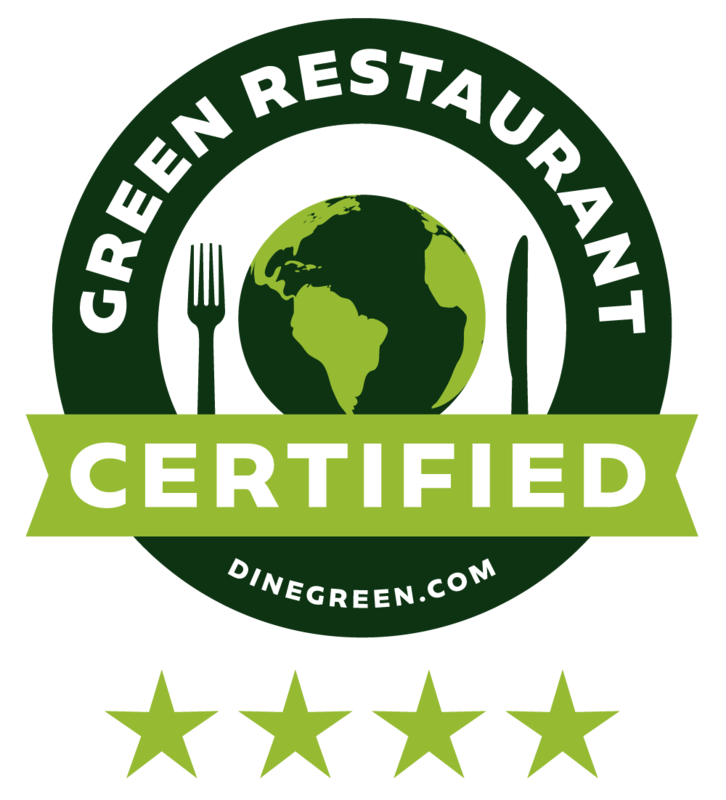 Click on the image above to learn more about the steps that Beerline Cafe has taken to become a four-star Green Restaurant Association establishment. Located in the Hot Yoga building on the corner of N. Humboldt and Commerce St.
check out our menu below and call 414-265-5644 for available reservation times.